Robert Klippel’s interest in machine parts began in London and Paris between 1947–49, when he was exploring the language of forms, both man-made and organic. 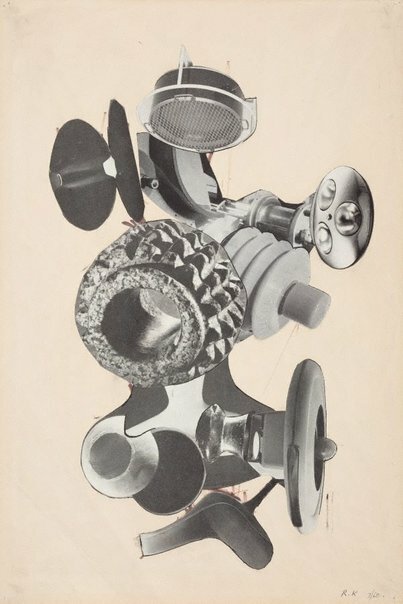 He began collecting machinery catalogues at that time, using them in collage from 1952 and later incorporating ready-made machine parts into his sculptures. Signed l.r., ink "RK" and dated l.r., pencil "7/60".